Bob Arrington is a sales management professional who has comprehensive experience in selling and managing within the mortgage industry. He is a high energy individual who is committed to providing excellent customer service, maintaining exceptional client relationships, and elevating a company’s brand name reputation. His 30 years in the credit industry included multiple senior management level positions at Kroll Factual Data and CSC Credit Services (an affiliate of Equifax) throughout the United States. Bob has called Fort Collins his home since 2000. He enjoys spending time with his wife Melany in both Fort Collins and Winterpark. He loves fly fishing, skiing, biking and golf throughout Colorado. 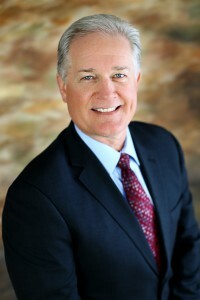 Bob is a graduate of the University of San Francisco with a Bachelor of Science in Business Administration and the University of the Incarnate Word (San Antonio) with a Masters of Business Administration and has maintained active memberships in the Mortgage Bankers Association, Texas Mortgage Bankers Association, Colorado Mortgage Lenders Association and American Credit Union Mortgage Association.